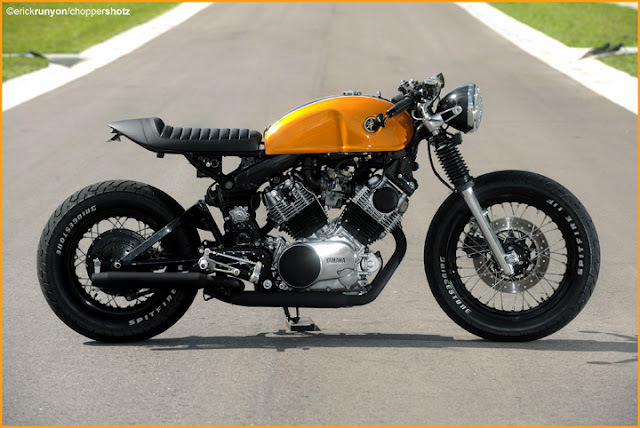 Doc Chops did a very nice job on their version of the cafe cut Virago. The wheels are not finacialy feasible to hunt down, machine and lace, but they are awesome indeed. 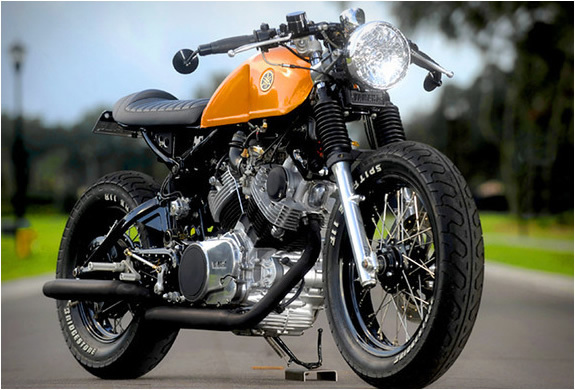 I talked to Cafe Racer Yesterday and they should have the wheels back from powder on Friday . So maybe I will be able to get Jesse's on wheels so we can get the stance finalized. As for the other Virago that is aging on my hoist waiting for a headlight and hand controls and wiring. A lovely looking thing Ry, I'm sure that yours will be equally as desirable when it's done and dusted . . . gonna try to dig up a shot from someone of one a close friend did some time ago. Keep up the nifty work mate.